At Dental Arts of Totowa, we know that the aesthetic of your smile impacts both your health and self-confidence. We offer porcelain veneers to help our patients achieve the visually-pleasing smiles of their dreams. Our dentist Zoya Mitelberg, DDS, is an experienced provider of both standard porcelain veneers and Lumineers® prepless veneers. Any combination of these flaws can be eliminated at once with the application of porcelain veneers. Veneers from Dental Arts of Totowa can give you a perfect smile in an instant. When patients express interest in this cosmetic enhancement, Dr. Mitelberg starts them off on their journey with a thorough examination. She collects data from exams, x-rays, and molds to determine the best course of action. To prepare the teeth for veneers, Dr. Mitelberg will remove a 1.5-millimeter layer of enamel from the teeth. This thickness about equals the thickness of the veneers. 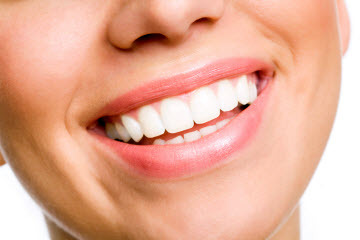 Although this small amount may seem insignificant, it is an important step as too-thick teeth are quite noticeable. In as little as two weeks, we’ll receive the finished porcelain veneers from our trusted laboratory. To prepare your teeth for the final bonding, your teeth will be cleaned, polished and dried. We secure the thin porcelain shells with dental cement to keep them permanently affixed to the tooth. Patients can expect their veneers to last up to fifteen years. If you’re interested in veneers but have concerns about the long-term commitment or preparation process, then Lumineers are the solution. Lumineers are thin do not necessitate the removal of enamel. Lumineers are ideal for those who have undersized teeth, as they do conserve your natural tooth while concealing the original size. Patients in Totowa can come to Dr. Mitelberg for beautiful veneers. We’re experienced in performing this service and provide stunning results. If you have any questions about porcelain veneers or Lumineers, feel free to call our office. We look forward to hearing from you!